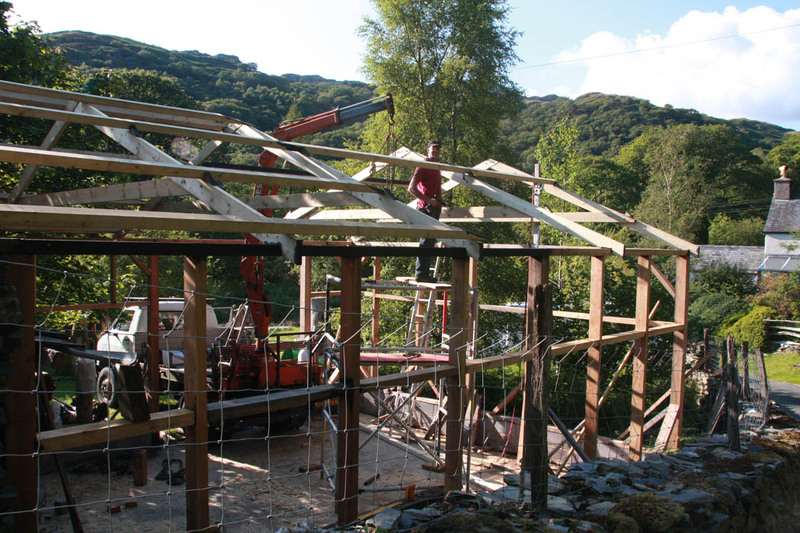 This is the large new studio being constructed at Tan-y-Rhiw this summer, providing a much needed indoor working area. First work to be made in the new studio, a sculptural oak bench for the Coastal Access Project round Anglesey. Bob Marley at Cellb, Blaenau Ffestiniog.